Famed investor Warren Buffet obviously wasn't in "Full Panic Mode" over Apple's shares like the rest of Wall Street was. In fact, during the first quarter Buffet's Berkshire Hathaway holding company purchased 75 million shares of Apple at an unknown price. Combined with the 165.3 million shares of Apple that Berkshire already owned, Buffet's investment vehicle controls 240.3 million Apple shares valued at $42.6 billion at Thursday's closing price of $176.89. 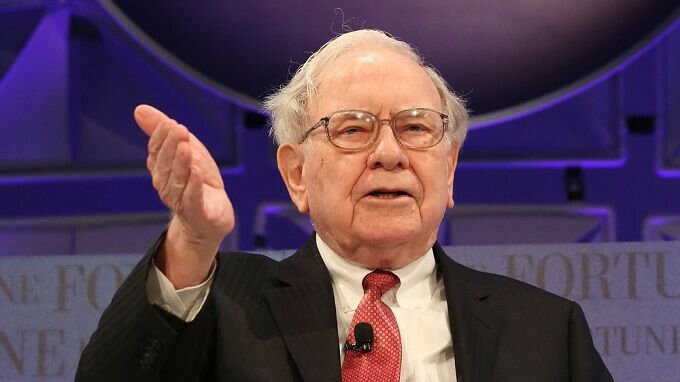 This weekend, Berkshire will hold its annual shareholders meeting and 40,000 will attend, hoping to get some pearls of investment wisdom from the Oracle of Omaha. On Saturday, Buffet's company will release its latest quarterly earnings report, which will include some information on Berkshire's top ten holdings including Apple. Apple has soared from last Friday's close of $162.32 to the aforementioned close on Thursday of $176.89, a 9% hike. The company released its fiscal Q2 earnings after the market closed on Tuesday. Even though the company sold slightly fewer iPhone units than expected (52.2 million vs. 52.4 million), and the Average Selling Price came in under consensus ($728 vs. $740), investors were happy to hear from Tim Cook that the iPhone X has been the firm's top seller since its launch. Once the report came out, the stock popped and has been rising since. Entire smartphone industry shrunk during March quarter but Apple sold more iPhone than ever before on a Q2. 0.2 million miss is very understand given the climate of the market. But who said Apple will achieve $740 ASP?? Not Apple.That's analyst's bs. How you gonna complain about him cherry-picking data, then do the exact same thing in your reply? Smh. "next quarter will be even worse for them" According to Apple, next q going to be record quarter, just like earlier.